Sosik leads a multidisciplinary team conducting long-term research on marine ecosystems and how they are changing in response to intersecting pressures from human activity, environmental variability and climate change. She discusses her bold plan to explore the ocean’s twilight zone is one of the first ideas of The Audacious Project, TED’s initiative to inspire global change. NASA scientists are venturing into the ocean’s “twilight zone” to explore how phytoplankton are affecting Earth’s climate. A team of marine biologists, engineers, and other specialists from the Woods Hole Oceanographic Institution will embark on the first long-term study of this netherworld, a nearly lightless region believed to be teeming with life — perhaps more than the rest of the ocean combined. The Woods Hole Oceanographic Institution has received one of the largest private grants in its history, $35 million, to explore one of the least understood areas on earth. WHOI among first funding recipients of The Audacious Project – EurekAlert! The $35 million award to WHOI will catalyze a multi-faceted, multi-year effort to explore and understand one of the planet’s hidden frontiers: the ocean’s twilight zone, which extends around the world from about 200 to 1,000 meters below the surface of the ocean. Heidi Sosik, a senior scientist in the Biology Department at Woods Hole Oceanographic Institution (WHOI) has been named a 2018 Fellow of The Oceanography Society (TOS). 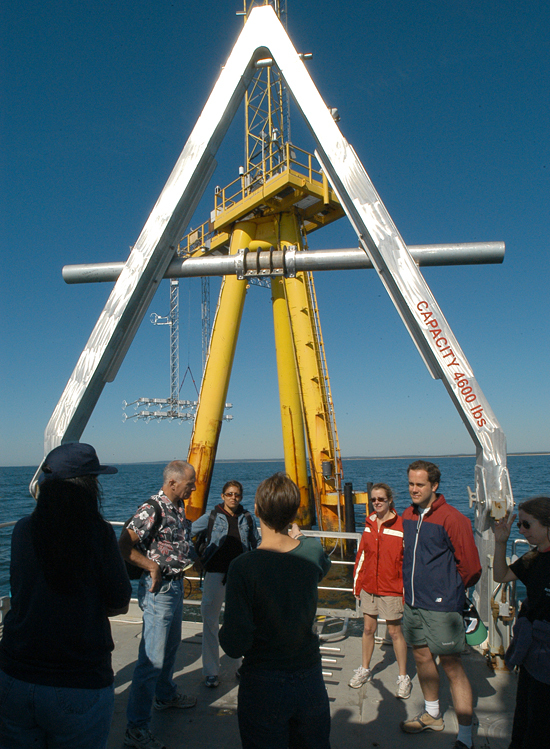 Election as a fellow is bestowed upon TOS members by their peers to honor individuals who have attained eminence in oceanography through their outstanding contributions to the field of oceanography during a substantial period of years. Heidi M. Sosik selected as a Fellow of The Oceanography Society – EurekAlert! McLane Labs partnered with Ward Aquafarms , a Cape Code (MA) based business, to deploy Imaging FlowCytobot at Ward Aquaculture Farm to monitor for Cochlodinium polykrikoides bloom in an effort to prevent damage to juvenile shellfish. The American Society for Microbiology and the American Geophysical Union offer insights form a transdisciplinary collaboration of their scientists regarding this question and areas for further study. Plankton are at the center of a long-term study in the waters south of Martha’s Vineyard that seeks a better understanding of how environmental changes are affecting the aquatic food chain. A group of scientists is taking a deep dive into the salty waters and food web south of Martha’s Vineyard. The Martha’s Vineyard Coastal Observatory off South Beach in Edgartown has become part of a new long-term program aimed at better understanding ocean ecosystems and climate change in the Northeast, thanks to a $6 million grant from the National Science Foundation. A long-term study which will research the relationship between coastal ecosystems and human interaction with it in the Northeast will be conducted for at least fire years by scientists from Woods Hole Oceanographic Institution (WHOI), University of Massachusetts, and others. A common type of phytoplankton is reproducing earlier, research finds, pointing to wider impacts among marine life. New study shows changes could have major effects on global marine ecosystems. Long-term study reveals predation dynamics, raises questions about carbon fates.